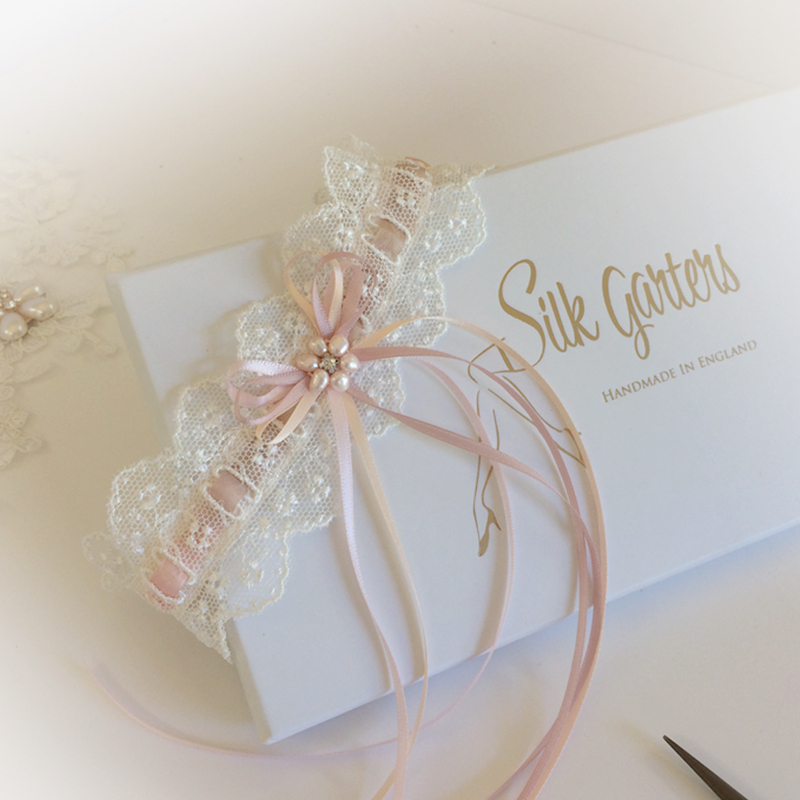 I hope you love this gorgeous bridal garter in exclusive Nottingham lace, slotted with the softest peachy, pinks and taupe silk ribbon. With it’s fine bows and freshwater pearl flower, it’s just so pretty! I asked especially that it be made on a cotton tulle giving it a lovely vintage feel. The design is so dainty, scalloped edges with tiny embroidered flowers and vines. 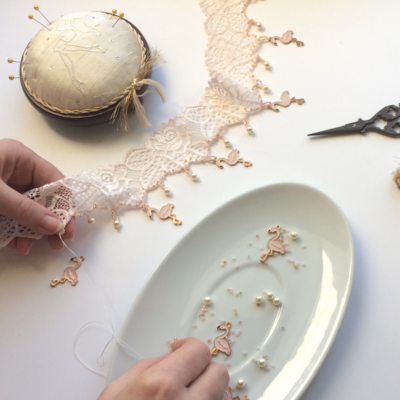 Looking at the images you’ll see running through the centre of the lace are ribbon slots. Here it works perfectly with this pure silk ribbon, in varying shades of sand, taupe and rose pink. I’ve elasticated the garter but the elastic is hidden inside creating a secure band. Designed to be fairly flat, you can slide any gentle ruffles to the back, if you wish, as in the second picture. 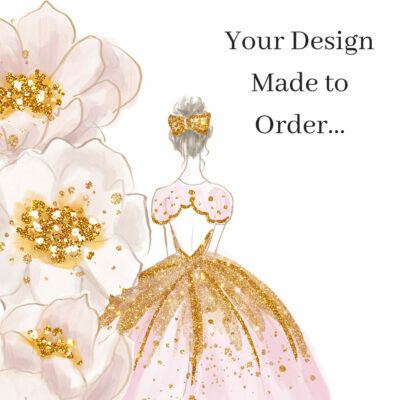 At the centre you’ll see I’ve added fine triple bows in toning shades and a flower of pink freshwater pearls. I do hope you love my garters, please let me know if you’d like something made especially for you! All my garters have a small blue bow hidden inside.